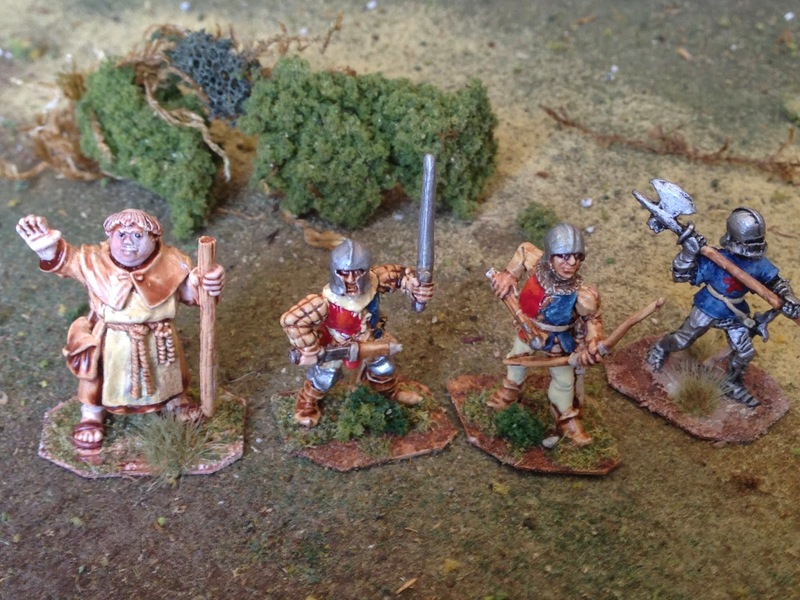 Cigar Box Heroes: Fresh off the painting table! Here are some troops fresh off the painting table. 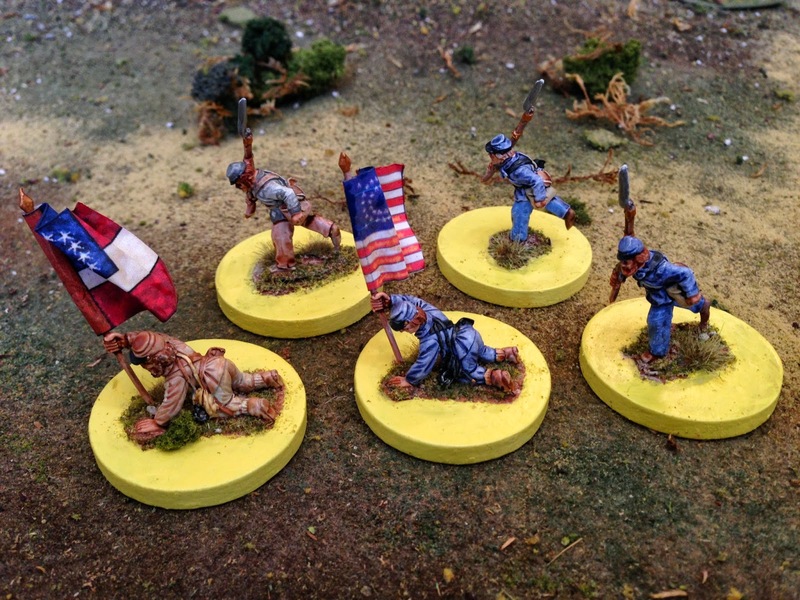 I'm getting ready to run a 28mm ACW game at Nashcon in May and have been painting more morale markers for the game. I'm trying to move away from lots of table top clutter and have all my morale markers, statuses, casualties, etc. represented by some kind of miniature figure marker. 28mm War of the Roses - I've been painting some personalities for a game me and my friend Titch are going to run at Nashcon. These are old Wargames Foundry figures. The yellow markers are for "Shaken" status in Johnny Reb and Across A Deadly Field. I like the way the fallen standard bearers turned out. 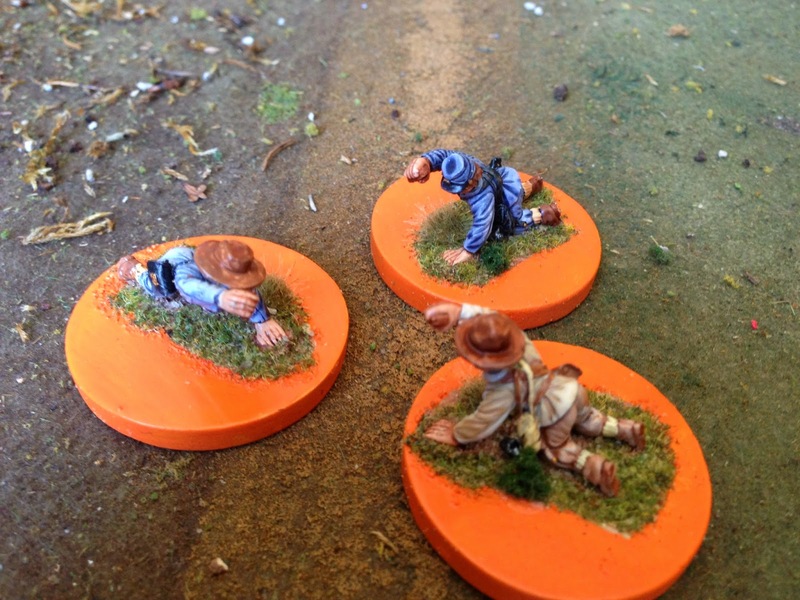 Dixon and Wargames Foundry (Perry) figures. Orange represents "low on ammo" in Johnny Reb, and will work for "Disorder" in Across A Deadly Field. These are 28mm Dixon figures passing out cartridge boxes. 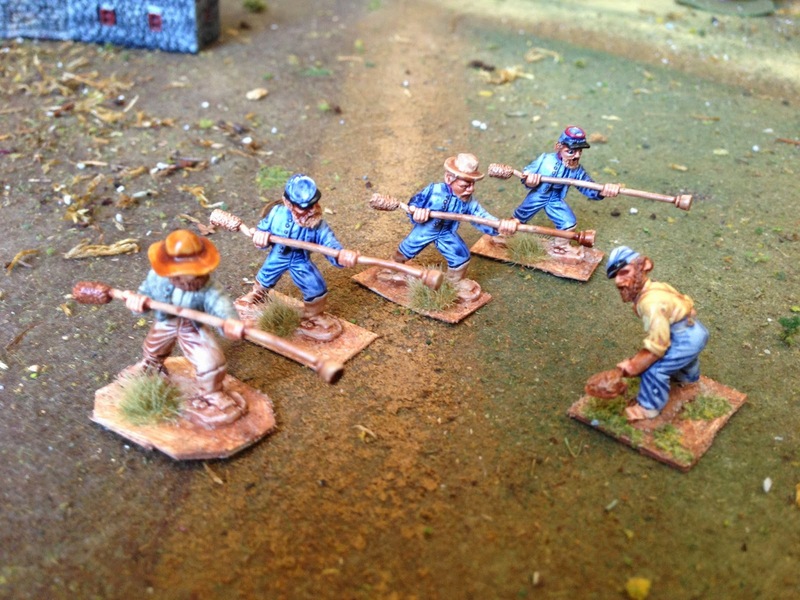 Some individually based artillerymen (and a lone pioneer) to help man the guns in JR or to represent a section in ADF. What a great idea and certainly make everything very clear. Beautiful, especially love the medieval ones! They markers are really looking nice!